I will do a performance with Ali Demirel and Richie Hawtin at the Detroit Electronic Music Festival (DEMF) tomorrow (May 27). Meta-Control is an ongoing collection of visual/kinetic performative artifacts. The collection started with the reincarnation of the selected pieces in Dynamic Compositions I did back in 2003. The software pieces in the Meta-Control collection have a single organizing principle: the control mechanisms are not hidden, and often explicit. 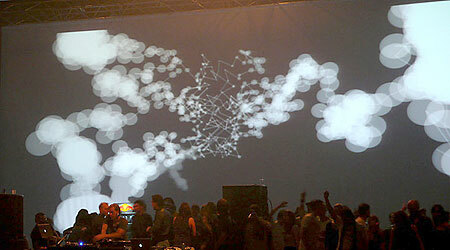 Meta-Control at the Time Warp 2007 Festival, Mannheim, Germany.